Being cool means standing out from the crowd. In this article, I’d like to introduce some of the coolest glasses that are invented these days. I am sure many of you have seen movies where a character wears a cool pair of glasses, and with a touch of a tiny button on that glasses, can seem to do seemingly impossible things, like, analyzing what the target had for breakfast or magically shoots out bullets to save the day? While there are still no glasses that cool with today’s technology, there are still some glasses out there that are not your average pair. 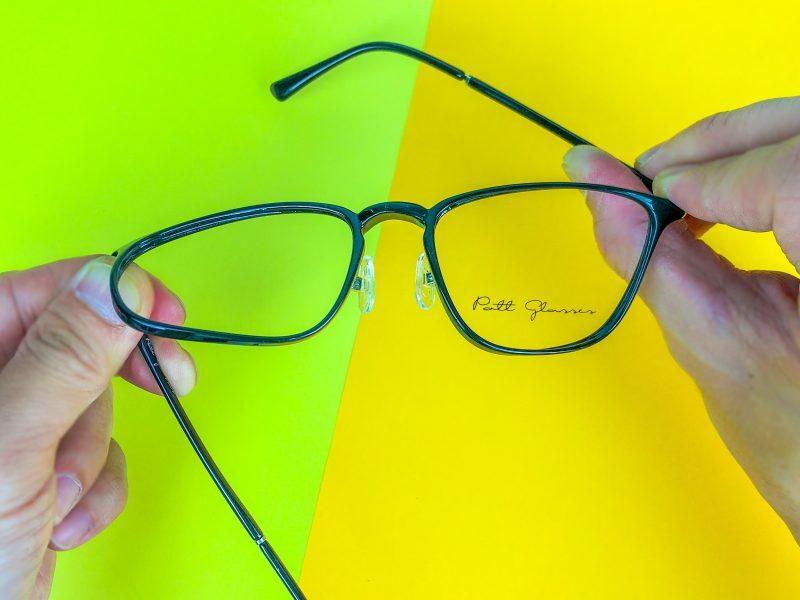 They are not necessarily quirky looking, most of them are even as stylish as your regular glasses, but they definitely do more than just helping you see and protecting your eyes. Video cameras never look so stylish until Snap Spectacles. 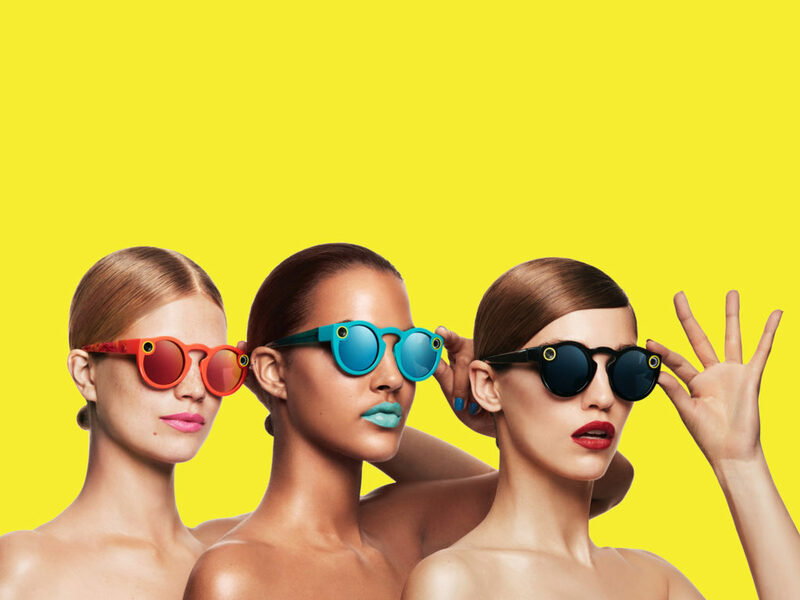 Snap Spectacles is developed under the same company which developed Snapchat, a popular social media, which is why you are guaranteed a hip and stylish product. Snap Glasses has a built-in camera, which allows the user to capture precious moments in their point-of-view. It is like a go-pro but cooler! You will never have to worry about your hands being occupied with your regular video recording devices, and never have to be constantly looking at the camera until you miss out on the wonderfulness around you. Snap Spectacles allows the user to record 10 second worth of video each time. The videos can then be linked to your mobile phone and shared on various social media. 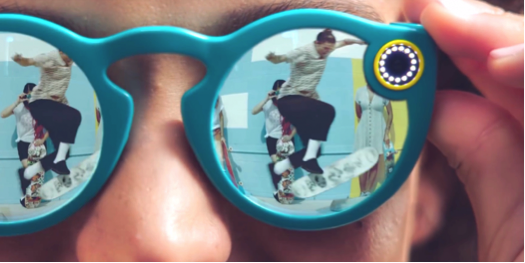 Snap has integrated social media with glasses, thus it is our top coolest glasses. Google glasses is like a computer in the form of an eyeglasses, quite literally. Information can be displayed right in front of your eyes, and you will really feel like The Terminator! What’s cooler? Users can even communicate with the Internet using voice commands! 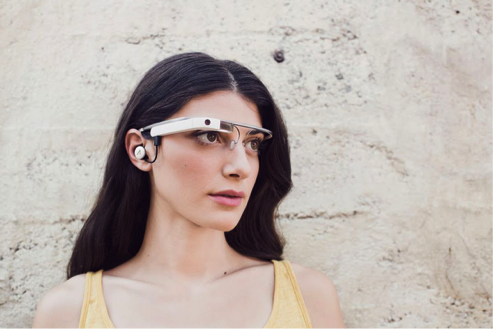 Ever since the product ceased in 2015, Google glasses is not widely available to the public. However, it is making a comeback this year, targeting business customers. It is especially helpful for works such as those in an assembly line, where the job is more hands-on. Google glasses claimed to allow workers to perform more efficiently, where they don’t have to constantly go back and forth between the computer and their work area. For example, it allows the user to access to operating procedures, checklists, and even a real-time video streaming to be shared with co-workers! By integrating tech with glasses, Google glasses made it the the second coolest glasses in our list. Unfortunately this glasses are not available anymore. Let’s hope Google will reintroduce them! There are times when you need sunglasses so badly but you couldn’t put on because you are wearing your prescription glasses. You wished you can change to contact lens but it feels uncomfortable wearing it. Then you decided to just remove your glasses and wear sunglasses only until you realise that you’ve missed out all the great scenery. You last resort, wear the sunglasses on over the glasses. That is why we think that Clip On Glasses are on of the coolest glasses. A polarised tinted lens to be sticked on the prescription glasses whenever you need it. When you don’t need it, keep the lens in the case. As simple as that! Sounds very peculiar right? Ever wondered can a pair of glasses be doubled as a headphone? Yes it can! 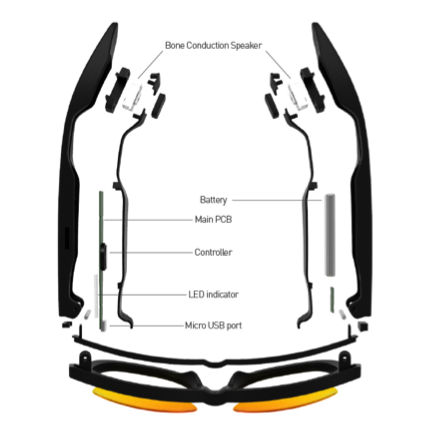 On the outside, bone conduction glasses looks like your regular glasses. But, there is a twist, as it comes with integrated bone conduction speakers, which send the sound waves into your brain via vibrations. You will be basically hearing sounds in your head! Cooler thing is, people around you cannot even hear what you are listening to. So rest assured when you are blasting your Justin Bieber music. It is like your personal speaker on the move. It is also a safer choice than our good ol’ earphones or headphones, as it doesn’t block out all the surrounding sounds. In that way you will still be able to hear passersby screaming frantically at you if you drop your wallet while listening to music. Your solution when you are under pressure but still need to do well. How it works? Glasses like the Safilo X is equipped with sensors that can trace brainwaves, movement of the eye, your facial expressions and more! They provide instantaneous biofeedback, brain training activities, and meditation to help you stay focused and calm. Before or after a nerve-wrecking activity, such as giving a speech or a competition, slip on a pair and you will feel Zen once again, or when you are going through a stressful period, such as an exam, a pair of brainwave-sensing glasses will help to reduce the stress and anxiety. Glasses sometimes can be quite expensive especially when the lens come with different feature such as computer lens or transition lens. That is why glasses should last you at least one and a half year. Few things can happen to make you change glasses, one of them is broken part. If the temple leg, or the frame, or the nose pad breaks, you’re forced to change glasses (even when the lenses are still in good condition). So why not get something that is super durable like the Ultra Flexible Glasses. The frame is made of ultem, a super durable and light material. The structure of the frame give it even better shock absorption feature. When you accidentally pressed on it, it will be fine. Check out our series here. You won’t have to go for the costly fitness tracking wristband while you can do the same with your glasses! Such glasses are capable of tracking the number of steps you take, calculating distance, speed, calories, and your heart rate. Even if you are just sitting in the office, glasses like this is useful too. When you are sitting down for too long, activity tracking glasses sends you a reminder to stand up and move around. Some activity tracking glasses are even capable of monitoring your diet by recording the number of times you chew and categorize your food intake into different classes. Just like any other technology, new technologies like these cool smart-glasses take some time to sink in at its initial stages, which is why it is still not fairly common yet. However, there is a strong future for these techy pieces, and adding another cool aspect of wearing glasses while shedding its old stereotype. For now, you may want to explore more about the cool and trendy glasses. Or glasses that protect the eyes from harmful computer light. Check out more here. If you have not gotten your eye checked for quite some time, feel free to schedule an appointment at our outlet for thorough eye check. You can also try out all the cool glasses!